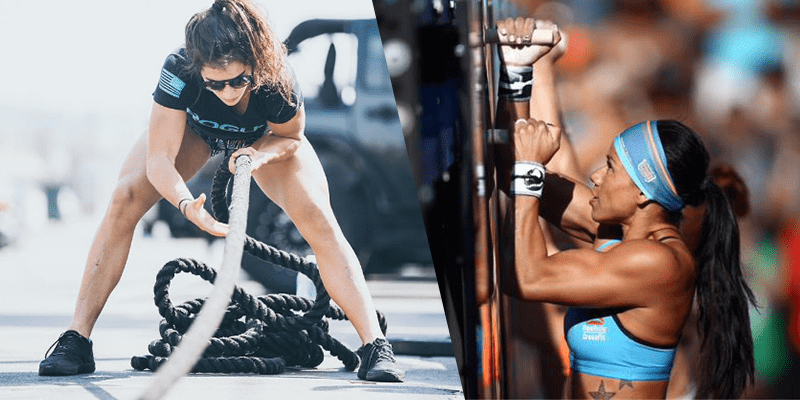 The Sport of Fitness: Is Crossfit all you do? 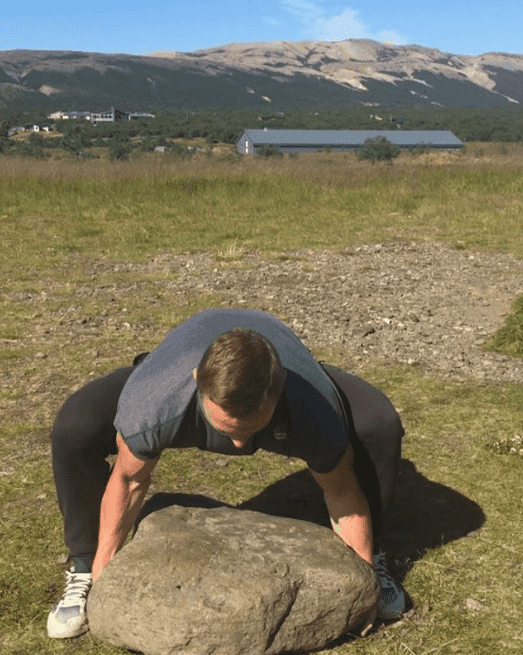 Are we forgetting the roots of Crossfit? Has programming become too specialised? And have we forgotten how to play? Wherever one goes we stumble upon this thing called ‘Crossfit’! A few weeks ago I went into a Munich City sports store. What did I find there? Crossfit equipment! How cool is that? What’s the one thing suddenly everyone’s doing in his off-season? Crossfit. What springs up everywhere like mushrooms? New Crossfit Affiliates. They’re literally everywhere. And that’s totally cool. I love to see that more and more people in Europe get to know the sport of fitness. Due to this our community is growing fast and we can be delighted by an ever growing popularity. The only thing that I dislike is the new picture most people develop of our sport thanks to YouTube, ‘awesome’ CrossFit Games compilations and heroic ads. Don’t we tend to forget or even neglect the most basic element of our beautiful sport? AT ITS ROOTS, WHAT IS CROSSFIT? In its most basic definition Crossfit is: everything! Yes, everything! Sounds weird and unspecific, I know. Greg Glassman, the founder of Crossfit, expresses the basic idea of his sport is to not specialise. Crossfit aims for a well-balanced yet above-average development of each one of the 10 physical skills. But we should not over-develop one specific skill – that we may not be called ‘specialists’. I am asking myself whether we are exceeding this point? How can I possibly think this way? The reason is the reduction of most programming to weightlifting and metcons. ‘But ain’t this the awesome mix in Crossfit? Interchanging between weighlifting and metcons?” Yes, it is. I am not going to say anything else. Weightlifting or strength training in general with external, free loads is one of the most important basic pillars for the Crossfit athlete. No question. It is and will always be the best bet for gaining strength. The stronger you are, the easier the WODs with lower weights will feel for you. That’s why we need a solid strength base and should be working on our strength a lot. The same genius lies in metcon cycles based upon the formerly gained strength numbers. So where lies the problem you may ask yourself? 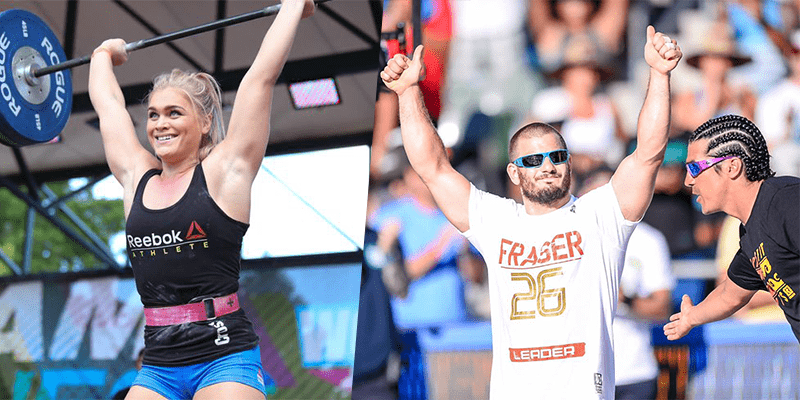 In my opinion the problem lies within the missing differentiation between CrossFit as a well-rounded fitness philosophy and CrossFit as a competitive and professional sport. For any competitive athlete amongst us a reduction of your training to a mix of weightlifting and metcons with competition-like movements is ideal. You need to perform extremely well and be as efficient and strong as possible in exercises like thrusters, snatches, muscle-ups, GHD Sit-ups etc. That’s why there’s a need to focus on the movements that you will encounter in competitions. So how about everyone else? Shouldn’t they perform the same movements? Oh yes, they should! The point is this: if you’re training CrossFit in order to be fit for your everyday life, to be able to live the life you want and not be limited by your own physical capacity you need to do more than ‘just Crossfit’. My heart is bleeding while I’m writing the last sentence as it does not conform to my understanding of Crossfit. From my point of view Crossfit is the most wonderful and complete training philosophy I’ve ever known. But the way it is interpreted by most athletes, affiliates and people in general it gets reduced to a mix of weightlifting, powerlifting, rowing and some gymnastics elements. Biking, swimming, playing a multitude of different games like basketball, volleyball, football or soccer, surfing, skating, slacklining etc. are rarely found in any programming. Although these things would be so important to evenly develop the soft skills found in our 10 physical skills. 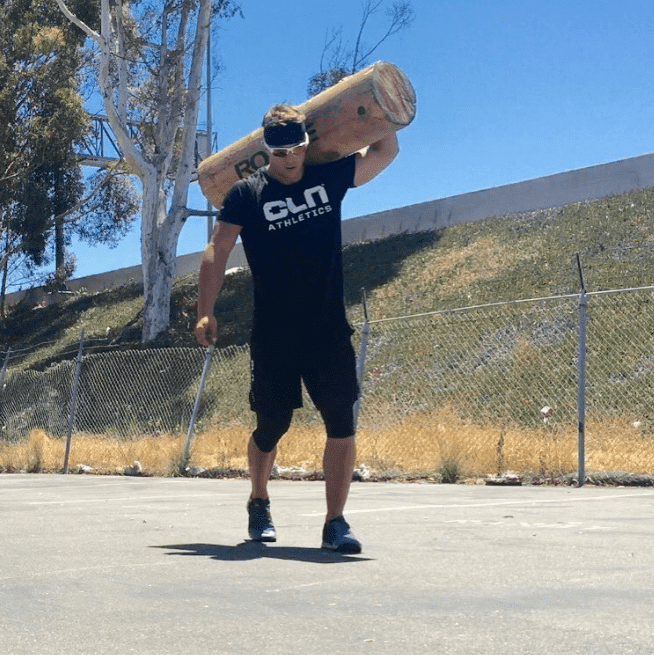 Where in weightlifting are we working on our balance as well as in slacklining? How about agility? Precision? Of course we need all of the above when first learning our weightlifting or gymnastics skills. But at some point these exercises stay more or less the same regarding the challenge for our soft skills. Playing a game, the surroundings are ever changing. No throw equals the last. No jump is just like the other. We are forced to adapt to constantly varying impulses. Impulses we can’t control. Sounds like everyday life challenges? Sounds like Crossfit! If you take a closer look at the documentaries about our Crossfit heroes you will see they’re practicing what I am preaching here. Rich Froning and Dan Bailey play Baseball every once in a while, they’re out there mountainbiking, driving quads, skating and swimming. Do we see this in their programming? No. That’s why everyone needs to open their own eyes and mind for this kind of understanding of the sport of fitness. It is crucial for pro athletes liike Froning and Bailey to master the exercises mentioned above and become extremely strong in these lifts. Nonetheless they are still developing their soft skills and therefore train different planes of movement as well. That’s the second thing I want to point out about the “small pool” of Crossfit exercises. 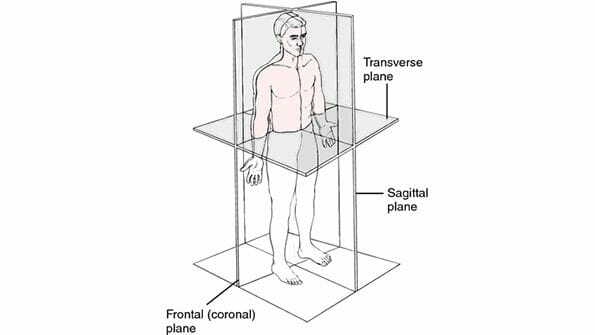 Most of them are bilateral and are performed on the frontal or sagittal plane. Most programmings neglect the transversal plane (rotations). Why? Because it’s nearly impossible to measure. Therefore, it cannot be used in competition. 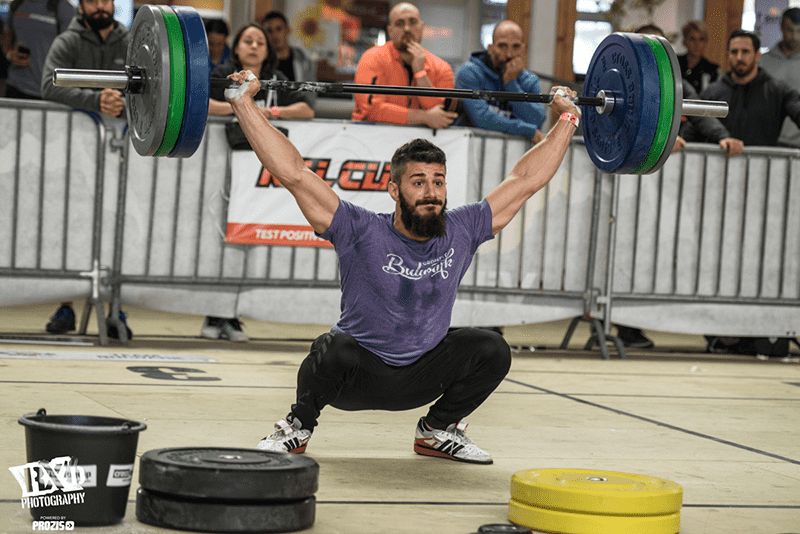 So does it make sense to incorporate rotations in CrossFit competitions? Absolutely not. Does it make sense to incorporate them into your training? It absolutely does. To program efficiently for an affiliate and hit all of the physical skills is an art. And it needs periodization. I am not trying to point out specific Crossfit boxes and say ‘that’s not good. You’re missing something’! What I am trying to do is wake up every single one of my readers. Please do not limit this wonderful fitness philosophy to weightlifting and metcons. The programming and training at your local affiliate gives you an awesome chance to develop a strong basis for life. Please never forget to play. Never forget the ‘Play games and have fun’ part of CrossFit or stolen from the official definition the ‘constantly learn and play new sports’. This holds especially true if you are not trying to compete in CrossFit. By now I’ve nothing left but a mild smile and a firm ‘yes’ for people that ask me whether I ‘only crossfit’. Of course I only do crossfit. Because CrossFit involves everything I do. It doesn’t matter if I go swimming, hiking, riding my mountainbike, standing on my SUP or taking my longboard into town. Whether I am trying to stand on a slackline or fighting in a pick-up basketball game. All of the above will make me better and more physically capable as specific parts of my physical skills will develop. Paired with a solid and clever strength and conditioning program made out of complex exercises with external, free loads (aka weightlifting and powerlifting) and a mix of all three basic pillars of CrossFit (Weightlifting, Gymnastics and Metcon), which we are all trying to develop to a point of mastery as Glassman originally postulated, I am truly on the primary crossfit way to fitness.